Has it been months since I last updated this blog?! My apologies to those who follow my humble blog! It's now another summer, and as has been in the past, the kids and I are spending the summer in Miri, Malaysia. It has been a month since we arrived here and we are now nicely adjusted to the hot and humid weather. Adjusted does not mean we don't feel hot and sweaty but the weather does not bother us as much as when we first arrived. 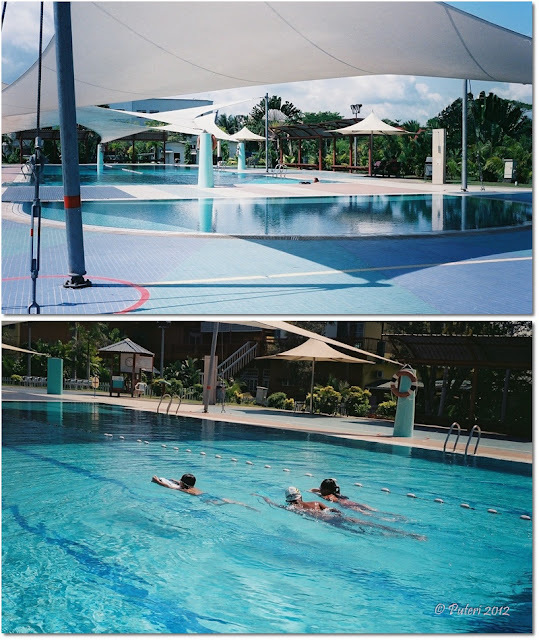 This year, we found a swim instructor for the kids and they have completed all eight lessons. Eight lessons are supposed to be enough, but I do not think so especially for Denice. That being the case, I am paying for additional lessons. Before they started their swim lessons, I had been taking the kids to the public pool where they enjoyed splashing about in the children's pool. 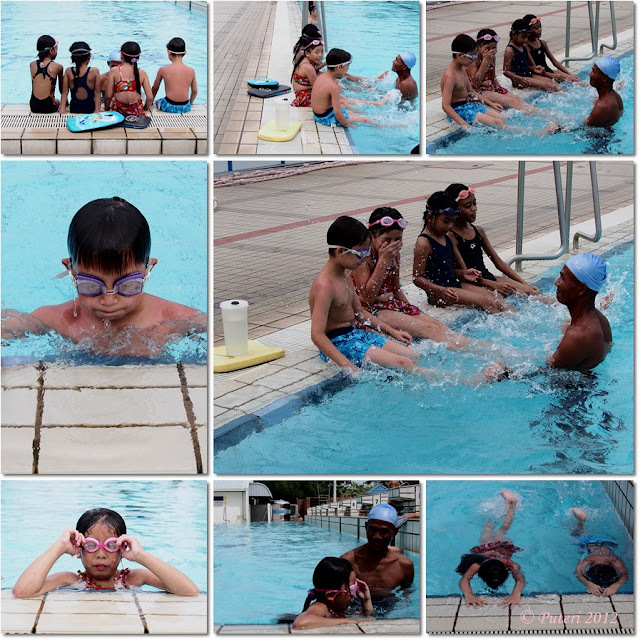 This swim instructor also coaches a few primary school students on behalf of Kelab Rekreasi Petroleum (KRP) in Lutong, and gives swimming lessons to a few expatriate kids and when he has to be in Lutong, I will take the kids there too so they can have the lessons there. The KRP pool is beautiful with some shade, and a very pleasant green surrounding. I could do with swimming lessons myself, but I'd be too embarrassed to have this instructor teach me! One of my friends is a certified swim instructor, but she is busier now that she is retired than when she was working full time!